Why are currants the leaves have turned? Currant – one of the most popular horticultural crops grown in Russia, and its berries are widely used in cooking. However, a good crop of currants can be ensured only avoiding the diseases that attack this plant. One of the most common diseases of currants is Anthracnose. The disease attacks the currant bushes in the summer, helped by the rainy weather. Anthracnose is a fungal disease that affects the shoots, the berries and especially the leaves. First, on the currant leaves appear brown spots that eventually merge into a single spot that covers the sheet completely. If this is not treated, the leaves begin to fall and the plant dies, even the winter won't be the salvation of the currant Anthracnose overwinters along with affected Bush, with the onset of heat to begin the destruction of the currant with the new force. Bring Anthracnose is not easy, and if the contamination affected a small number of bushes, it is better to simply destroy without endangering other plants. If this is not possible, ill spray the bushes with copper sulfate or Bordeaux liquid. Also good results in the treatment of Anthracnose shows the use of colloidal sulfur and homicide. Another fungal disease that can affect currant is a white spot. The main symptom of this disease is brown spots on the leaves, which brightens with time. The result white spots become the death of leaves, shoots and buds. Measures to combat the disease are similar to those that apply to the Anthracnose. Mainly this Bordeaux liquid at first symptoms of the disease and prevention of early spring in the form of spraying currant bushes "Fitodoctor" or "NITROPHENOL". 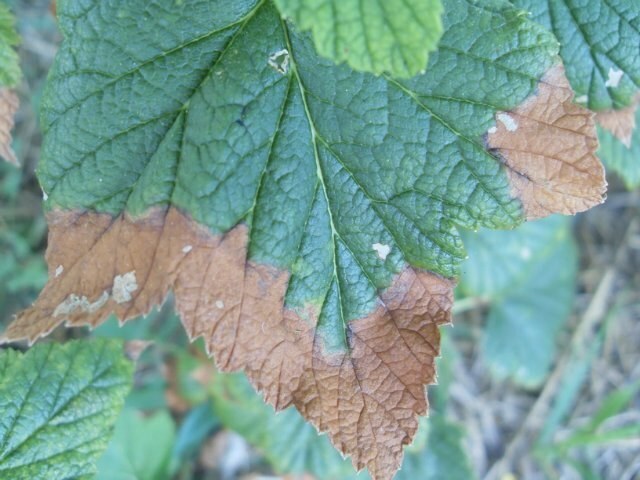 Basilicata rust – a disease of currant, which is a plant can get from growing nearby sedges. Even if it's not on the site, the wind can carry the disease for more than a hundred meters, but Basilicata rust and white spot, treated the "Fitodoctor". The name of the disease - powdery mildew - speaks for itself: a symptom of this is that the leaves and stems of currants covered with a white bloom, and soon thereafter die. This disease is treated with a solution of soap and versatile in combat with diseases of the currant "Fitodoctor". The doubleness is certainly one of the most dangerous diseases you can get currants. It is a viral disease, fully depriving the harvest. If Terry currant loses its smell, the leaves start to darken, and the flowers wither. But the most important is the lack of berries. Doubleness has no cure, so the infected hive should be destroyed.